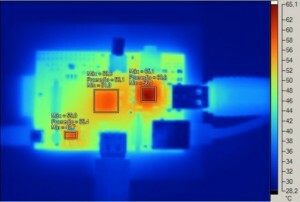 Raspberry pi too hot ? Let’s do something about it ! 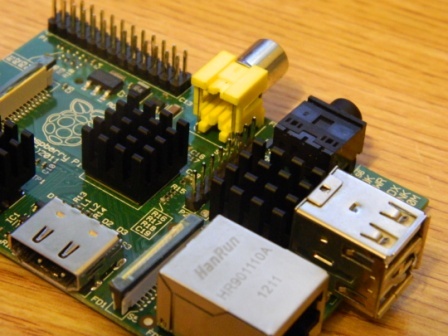 Today we will see what to do if your raspberry pi is too hot. Is my Raspberry Pi too hot ? This is a good question. The rapid answer: no if you don’t tweak or overclock it. By the way, here is a good tutorial to overclock it but be careful because you’ll lose warranty. If you want a long answer, go here it is in Spanish but you can use google translation to have it in English. If you are interested, you should definitely read it ! As you can see the main danger comes from the LAN9512 Ethernet/USB chip who can reaches about 65°C. This is too hot to touch for more than a few seconds, but the chip can go up to 70°C, so it’s still alright. 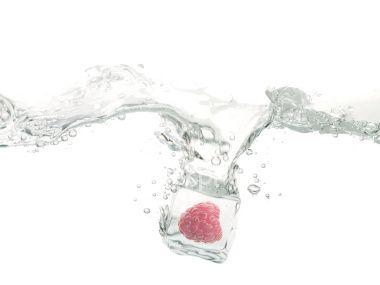 There are several things you can do to cool down your raspberry pi. First, don’t overclock it, overclocking on a plug computer like the raspberry pi isn’t worth to lose warranty. Remember, it is not your home computer it can’t do everything. Till, if you must overclock it here are two solution you could use in order to cool it down. Buy or reuse Heatsinks. It is not expensive to buy, if it makes you feel less worried, you should do it. Also, I like how it looks with heatsinks on it ! Finally, you can buy Iceberg case for 58€. If you want to know a bit more about it read below. 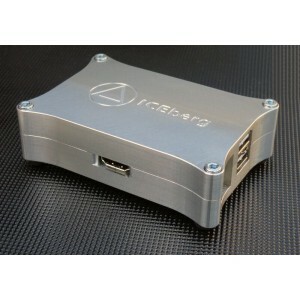 Why the ICEberg Case V3 for Raspberry Pi cools it ? By the way, you can’t and shouldn’t (the case is enough on it own) put the heatsinks and this case together. As you can see on this video tutorial, you already use the slot with the case. I also like its design ! What is the point in buying a raspberry pi at 30$ and a case at 58€ when the chance of overheating are so small ? Just use your warranty or buy a new one ! On the other hand, if you have overclocked your raspberry pi or feel like it is too hot, you can buy or reuse some heatsinks. It works and it is cheap. At the moment, I didn’t overclock my raspberry pi and then there is no point for me to buy heatsinks (and I don’t have any heatsinks to reuse). Until I overclock my pi, I won’t use heatsinks.